We are Nabo, Your gastronomical neighbour. Nabo’s gastronomy, with its unpretentious and inclusive approach, offers a vibrant and innovative dining experience. The forests, lakes and shores of our Nordic region permeate our menu, always with sustainability, honesty and simplicity at heart. We find our inspiration from the abundance of produce sourced exclusively in our prosperous region, but apply flavours and cooking method from all over the world. Our menu is ever changing to follow religiously nature’s cycles, and includes a “specials” board, filled with the daily catch, harvest and even hunt. Our a la carte menu is available in the dining room, at the chef’s table, in our studio and even at the bar. Studio Nabo is our specially designed Chambre separee, located on the lower floor. With larger tables and comfortable sitting, it has a unique warm and vibrant atmosphere, helped with an extra snug lighting and century old vaulted ceilings. The bar sitting offers a higher table and bartop drinking and dining experience, while our chef’s table, with slightly higher sitting and direct contact with the heart of the restaurant, delivers a unique immersive experience, through a specially designed menu (special booking required via email), or through our regular a la carte. Supplies are at the very heart of our cooking and menu. 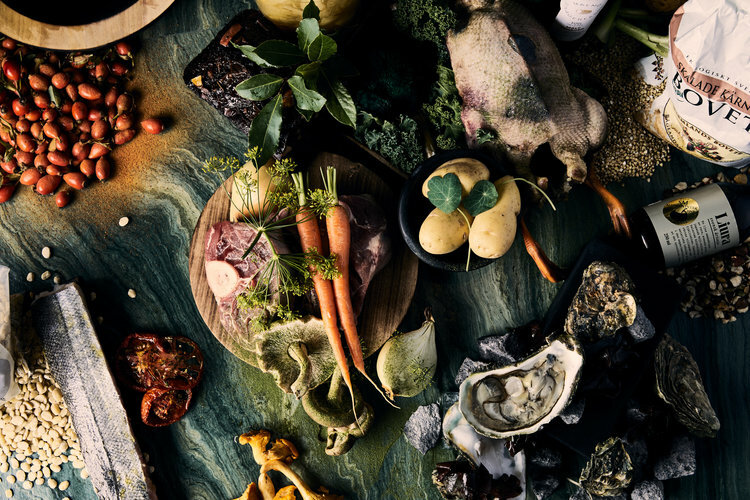 Based on hard-earned relationship with few chosen farmers and fishmongers, we put in the forefront of our purchase honesty, sustainability and simplicity of produce, always with impeccable provenance. We find our inspiration from the abundance of produce sourced exclusively in our prosperous region, but apply flavours and cooking method from all over the world. Our menu is ever changing to follow religiously nature’s cycles, and includes a specials board, filled with the daily catch, harvest and even hunt. On Fridays, the a la carte service starts as early as 11.15, with uninterrupted service until 23.00, and offers as well two daily lunch dishes ( always including a vegetarian dish) served with bread and a small daily soup. We have 5 designated “chef’s table” seats, right in front of “the pass”, the most important area in a kitchen! The menu is changing from day to day, to match the season, the weather or simply the chefs’ mood. The Chef’s table concept is available excluisvley via booking from Tuesday to Saturday, with one siting per evening at 18.00. All seats are released o Monday for the coming week. Studio Nabo is our bespoke designed Chambre separée, located on the lower floor. With larger tables and comfortable sitting, it has a unique warm and vibrant atmosphere, helped with an extra snug lighting and centur- old vaulted ceilings. Studio Nabo gives you the opportunity to host a private party in a completely secluded environment. You can play your own music and organize sitting as you wish. This is the ideal venue for breakfast, cocktail and canapé mingle, seminar, company dinners, banquet, conference, as well as family style dinner with long-table sitting or 5 person round table seating. Nabo studio is available for booking all day and every day, and can accommodate up to 30 dining guests, and up to 40-45 mingle guests. Our cocktail bar is located at the entrance of the venue, and set the tone for the vibrant atmosphere we are after. Beyond being an award nominated cocktail bar, it offers Nabo’s full range of wines (up to 25 by the glass in both half and full serve) as well as tapas-style small dishes, based on the flavour combinations and produces of our dining room. In the weekends, an eclectic program of local dj turns the venue into a lively and buoyant establishment, ideal for a night out with friends. A place to bring a date, sip on a cocktail, try new wines, sample our kitchen’s touch or just hang-out and meet new people. With over 15 years of experience in the event and catering industry, we can assist you in organising and performing both your private or company event. We do everything from private dinners to cocktail partys in your garden, after work at the office and other great events. By offering overall solutions we can provide with everything from tents, light and sound to booking of DJ.